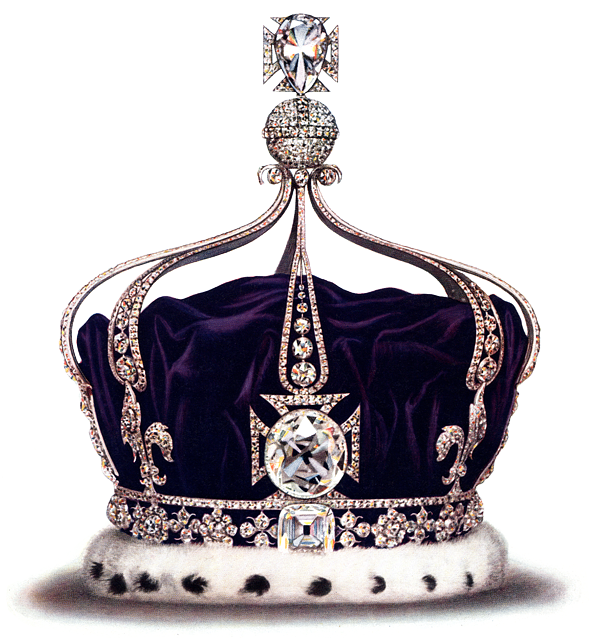 As a refresher: the Koh-i-Noor Diamond has a long, convoluted history, but it ended up in the Punjab as part of the Maharaja Ranjit Singh's collection. His son, Duleep Singh, was the last emperor of the Punjab and when the British imposed a treaty on the Sikh Empire, part of the deal involved the Koh-i-Noor being given to Queen Victoria. I feel jewels and jewelry get used a lot as symbolism in stories. The Lord of the Rings hinges on a bunch of powerful rings. A Countess Below Stairs by Eva Ibbotson involves a Russian aristocratic family's jewels disappearing in the confusion of fleeing the Russian Revolution. 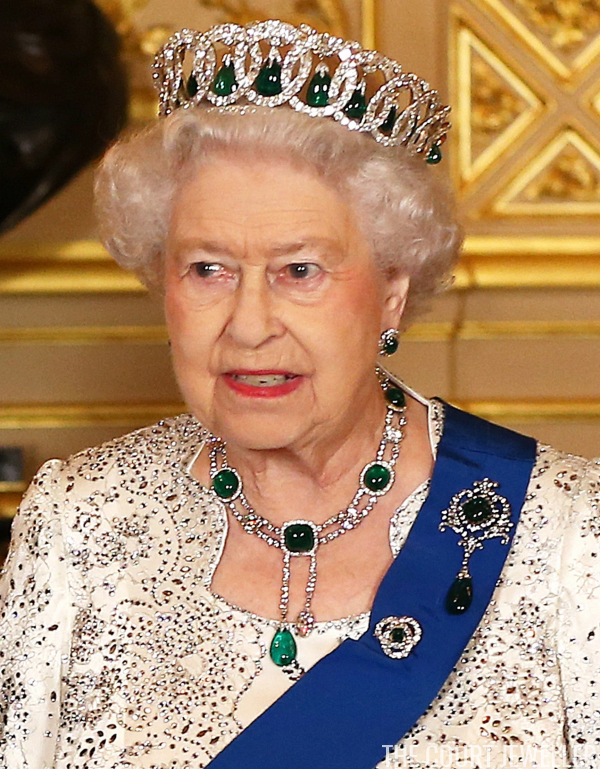 Jewels can symbolize power or evil or good or wealth--whatever the story requires. They can be the portal in a time travel story or a reminder of the past. 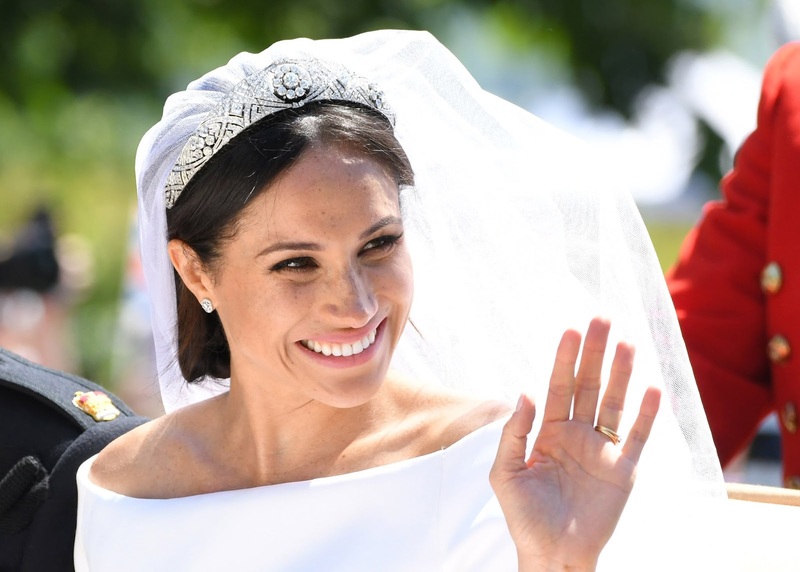 Or, in the case of real life with Prince Harry and Meghan Markle, jewels owned personally by the monarch, like a pretty tiara or huge necklace, can also be incredibly symbolic and lavish. 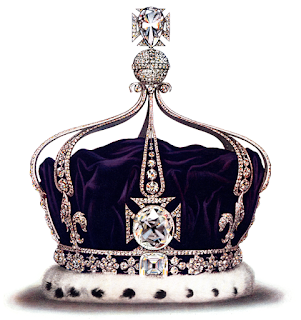 For example, the Koh-i-Noor Diamond, which is part of a crown, is supposedly cursed. 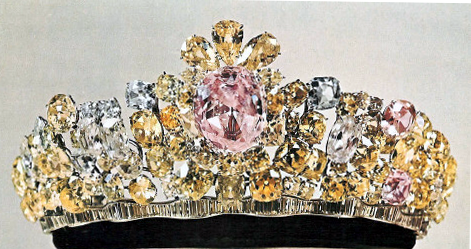 The Grand Duchess Vladimir tiara, owned personally by Queen Elizabeth II, was originally made for Grand Duchess Maria Pavlovna of Russia, left in a safe in St. Petersburg when she fled, retrieved from the safe by some derring-do by an Englishman and the Grand Duchess's son, taken to London, inherited by Maria's daughter, then sold. Queen Mary bought the Vladimir tiara and upon her death, the tiara became Queen Elizabeth's. 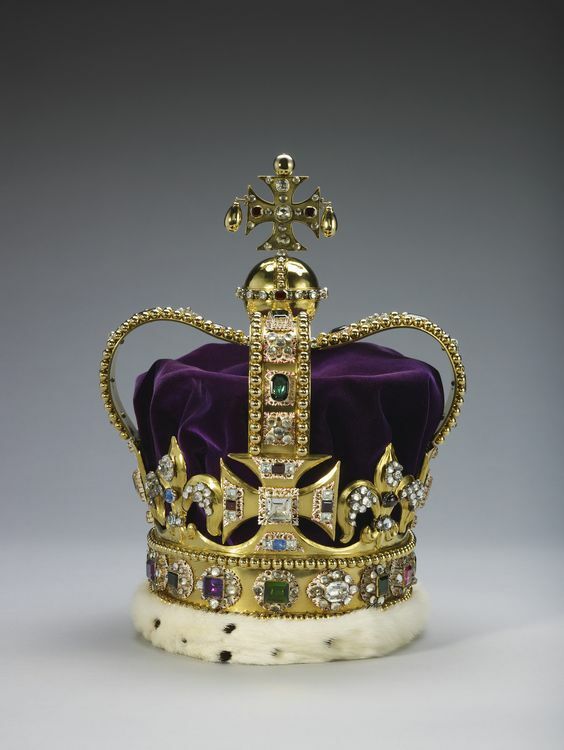 Most of the United Kingdom's crown jewels date from 1661, when Charles II retook the throne because Oliver Cromwell destroyed the crown jewels when England became a Commonwealth for a brief time. 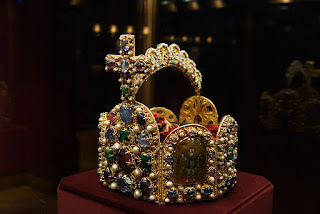 St. Edward's Crown, which is used to crown the monarch at coronations, was originally a thirteenth-century crown. The current one is from 1661 (which is still incredibly impressive to me. 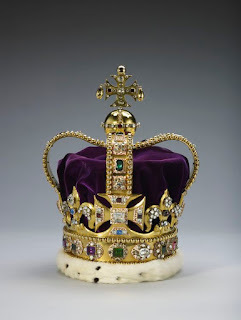 The crown is older than my country!). 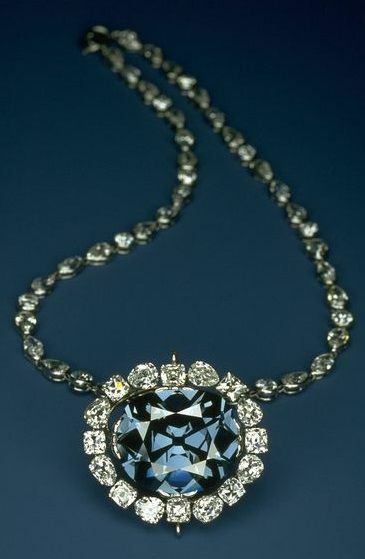 The French Royals had a large blue diamond as well--the French Blue, which was cut from the Tavernier Blue, a diamond brought to France from India by Jean- Baptiste Tavernier. The French Blue was stolen from the French Crown Jewels during the French Revolution, then reappered again in London several years later, re-cut into the Hope Diamond. Yes, the Hope Diamond looks like the Heart of the Ocean. Pretty sure it inspired it. Also, it might be cursed. The Hope Diamond was bought by a rich American at some point. It's on display at the Smithsonian's Natural History Museum in Washington, D.C. The Iranian State Jewels are considered some of the most valuable jewels in the world, accumulated over centuries as Iranians fought with Afghans and others. 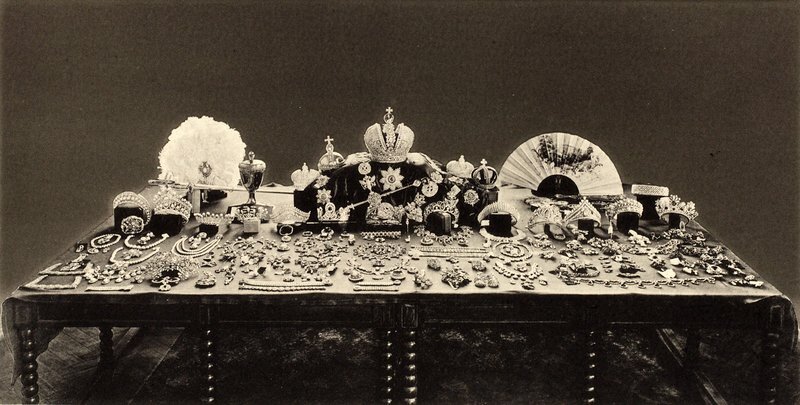 The jewels, used from the 16th century on, are still used as a reserve to back Iran's currency and banks. 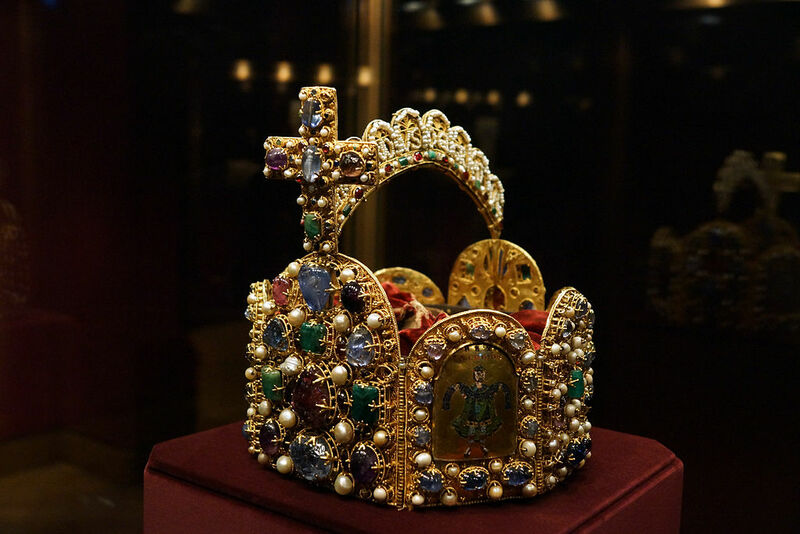 Austria's Imperial Treasury in Vienna has the tenth-century Imperial Crown of the Holy Roman Empire on display. 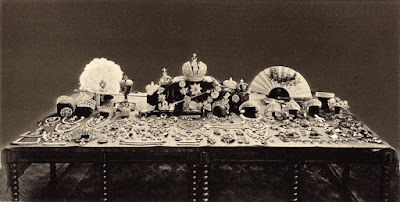 Apparently, a lot of the Holy Roman Empire's regalia and jewels used to be kept in Nuremberg and Aachen and were moved in the late eighteenth century in advance of Napoleon. They were sent to Vienna, where they stayed, except for a time during World War Two when Hitler took them out of Austria and kept them in Nuremberg. As the war ended, American soldiers found the regalia in a bunker and returned them to Vienna. Since then, pieces of the Imperial Crown Jewels have been sold at auction. Which of these pieces were sewn into the Romanov womens' clothing and acted as bullet proof vests on the night the Romanov family was killed in 1918 isn't known. Ooh, I didn’t know what the Hope Diamond looked like! It’s so pretty. I wonder how the curse is supposed to work. I have a Swavorski Heart of the Ocean replica. Makes sense that it’s Hope Diamond inspired. Some of those crowns are ugly though, right? It’s insane how old they are. The one Megan wore for the wedding can’t be too old. It’s quite modern-looking in comparison and significantly prettier. I don't know what the story with the Hope Diamond curse is. The one from the 10th century isn't the prettiest, but I imagine it must've seemed amazing back then. They have to do upkeep on them. I think Meghan's is from the early twentieth century, so not that old. This started with a Pinterest search on royal jewels and became...this. The Hope Diamond is fun if you're a Titanic fan! Wow. What an interesting post!